There are currently 414 million LinkedIn users in the world, and two new members are joining each second. Despite its reputation as the world’s largest professional social network, many businesses don’t utilise the potential opportunities at their fingertips. When put to good use, LinkedIn can help expand your company and connect you with industry professionals that will help you to achieve your business goals. As LinkedIn is such a vital platform for businesses, the Jammers have put together top tips on how you can enhance your company’s page to reach your target audience. By investing in posts and boosting them to a specific audience, businesses can expand their reach and encourage interaction. Precise targeting means you can be completely sure that your campaign is reaching the appropriate audiences; varying from particular industries, age groups, or specific LinkedIn groups. There are more than two million groups on LinkedIn today, which are created by professionals for professionals, in order to connect with people in their industries. A great way to expand your contacts, and make your company known to the right people, is to join a group related to your industry and join in on conversations and debates, as well as sharing your business’s updates and news. “People who participate in conversations in groups are five times more likely to get profile views from people outside their network — which could translate into more opportunities,” – LinkedIn. Your profile is another platform to showcase your company’s brand and key messages, as LinkedIn ranks in the top 5 search results when company names are Googled. By telling your brand’s story and providing frequent, engaging content, you will be able to differentiate your company from your competitors and encourage people to visit your website. “Publishing posts is a great way to showcase your professional knowledge, position yourself as a thought leader in your industry and even highlight some of the interesting things your company is doing.” – LinkedIn. You can connect with all the Jammer’s on LinkedIn, and if you’d like to find out how we can utilise LinkedIn, Twitter and Facebook to help grow your business, email Jaime@jampr.co.uk. JAM is an expanding business within the Northern Powerhouse, and so it is imperative that every Jammer keeps a finger on the pulse when it comes to decisions that will affect the UK economy; not many decisions are bigger than the pending European referendum. As we specialise in a number of market sectors for our clients, it’s also important to consider how the vote will make a difference within our clients’ industries. We are using a variety of platforms to keep in tune with the ‘pro-remain’ and ‘Britain out’ campaigns. Analysing social media channels has become an extremely accurate and efficient way of measuring public sentiment and we predict that these platforms will soon replace polls as the most reliable way of predicting political outcomes. Twitter even introduced Twitter polls last year, an incredibly simple way of gaging public opinion and a tool we regularly use on behalf of our clients. According to trading.co.uk, overall, social media conversation around Brexit peaked on 21st February 2016 when around 70,000 people in the UK were discussing the subject online. Since then, the total volume of chatter has dropped by around 40 per cent. Just over half of the chatter around Britain leaving the EU was negative – so, it looks as though we’re pretty torn as a nation. However, tracking hashtags on Twitter indicates little support for the ‘remain’ camp. The UK in a Changing Europe Initiative has collected an impressive 6 million tweets on the referendum debate over the last five months. According to its findings, the hashtag #leaveeu is being used to express a pro-leave sentiment as might be expected, and this is the most commonly used hashtag within the Brexit debate. In contrast, the pro-remain camp tend not to use many hashtags and when they do, it is #strongerin, which is not as widely used according to data. The pro-remain camp is losing the hashtag battle in the #EUref twittersphere. Identifying sentiment expressed in a tweet or a piece of text in general is a hard task, but there is software available that measures the strength and direction of sentiment in a segment of text. 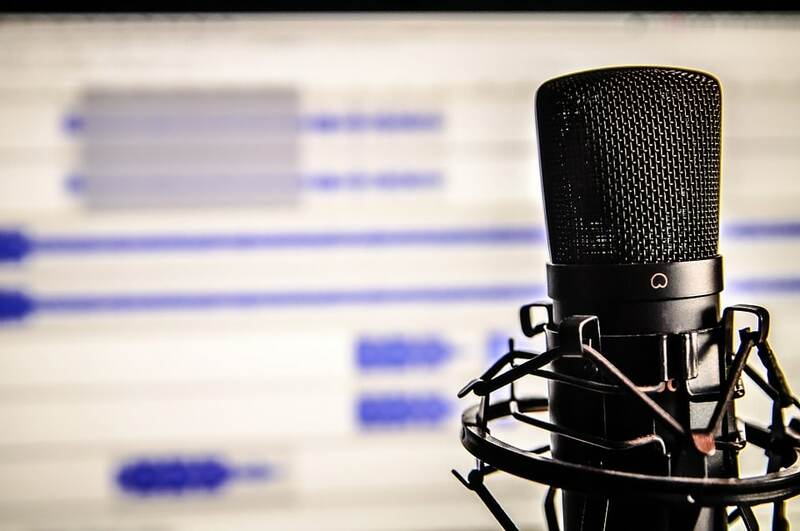 These listening tools are an integral part of PR operations as we compile comprehensive reports for our clients, and they also allow us valuable insights into public attitude. Of course, we use traditional channels as a key source for information, in addition to social media. Research carried out by Greenberg Quinlan Rosner showed the opinion of financial journalist, Martin Lewis, was more influential than inventor Sir James Dyson, London Mayor Boris Johnson and former Prime Minister John Major. He was ranked as the most trustworthy voice regarding the European referendum. Financial guru, Martin, who is a regular on ITV’s Good Morning Britain, has recently provided a refreshingly honest and simply take on the Brexit debate. He said: “It’s riskier to leave the European Union than to stay in it because change is always riskier. However, risk should not be automatically considered a bad thing. If you are risk averse you should probably vote to stay in the EU. If, however, you are of the view that you want change you should vote out… I’m risk averse. At the moment I am probably 55/45 for staying in Europe. With the big day just nine weeks away, the UK public is gearing up to make a decision that will have an impact on the way we live and do business. Register to vote and have your say: https://www.gov.uk/register-to-vote. 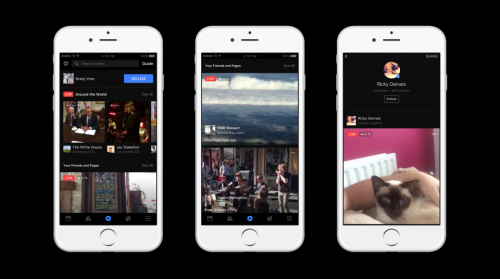 In February, Facebook announced the launch of its latest feature, Facebook Live. The live video broadcasting service allows users to share instant moments with each other from the simple touch of a button on the Facebook app, via an Apple or Android device. Thanks to Facebook’s existing user base, the new function allows brands to reach and engage with billions of people. Live streaming video content is by no means a new concept – in 2008, YouTube Live paved the way for platforms such as Periscope, Meerkat and now Facebook Live. However, Facebook Live looks set to trump its predecessors thanks to its innovative new feature that enables all users, including brands, to watch and create live video content within closed groups. Although Facebook Live is accessible to everybody, friends, families, and co-workers can choose to connect and share private content live with each other in closed Facebook groups. This benefits brands that may use the function to set up an invite-only Q&A session or seminar. This creates a sense of exclusivity, engaging with loyal followers and forging a closer consumer-brand relationship. Sony and BuzzFeed are already using the service to set up live broadcasts to promote new products and host virtual meet and greets with its audiences. BuzzFeed has even live streamed an exploding watermelon, which attracted an audience of up to 800,000 concurrent live viewers. According to reports, Buzzfeed is now working on a game show concept for Facebook Live… watch this space. The social media giant has rolled out its ‘like’ and sentiment feature on Facebook Live too, making it more interactive than the likes of Periscope. Users can express their feelings and comment or respond in real time during a live broadcast. Already, Facebook has revealed that users are commenting 10 times more on Facebook Live videos than regular video posts. This feature means brands are gaining a better understanding of viewer sentiment, which can then be used to inform future broadcasts. For brands, online video content serves as one of the best ways to display content as it gives both information and entertainment value in an easy-to-digest format – in an age of information overload, this is increasingly desirable. Furthermore, Facebook Live also taps into a key trend whereby consumers are increasingly demanding instant updates. Being able to watch events from across the world unfold in real-time will appeal to the masses who demand immediate access to content (having said that, anyone who does miss a live broadcast can search for previously aired videos via the Facebook app). At JAM, we understand the importance video content and live streaming to a brand’s communication strategy. Studies have found that by 2019, 80 per cent of global Internet consumption will be video content . If you would like to develop your business’ online presence get in touch: Jaime@jampr.co.uk or call 0161 850 0565.